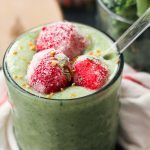 Healthy and filled with vitamins and minerals, this green broccoli detox smoothie will fit in any diet. Try it today! 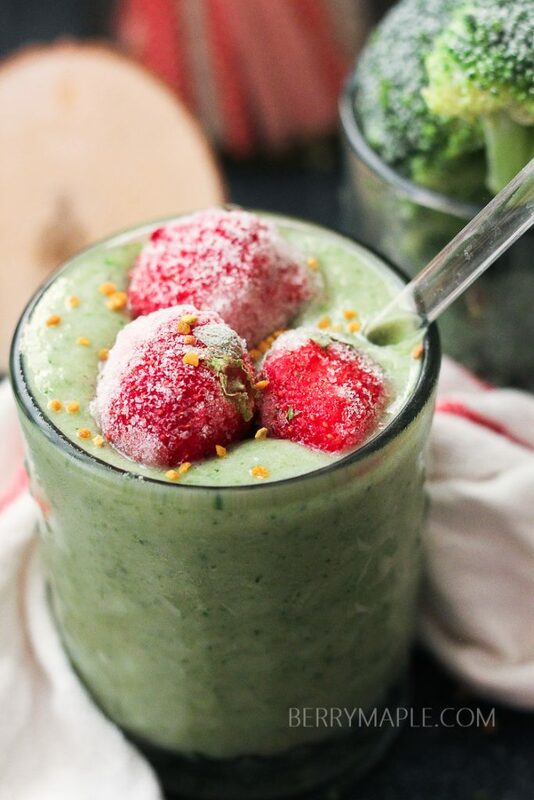 Never thought of putting broccoli in your smoothie? I have great news for you! If you add enough sweeteners and combine broccoli with your favorite fruits (broccoli-banana or broccoli-pineapple combo for example), the smoothie will come our delicious. Does broccoli tastes good in smoothies? It does! You will definitely taste the raw broccoli in the smoothie, make sure you like that taste before making the smoothie. Or, as an option, add more sweeteners that are listed in the ingredient list, or more banana. Smoothie will still have a light broccoli aftertaste, but first you need to think about how many benefits that smoothie brings to your body! How many vitamins! Use this recipe as a part of your diet, weight lose journey or post workout snack. Also great for kids ( i added less broccoli and more banana in my kids smoothie and they loved it). Broccoli is high in many nutrients like fiber, vitamin K, vitamin C, iron and potassium. Broccoli is also a fantastic source of protein ( compare to other veggies). So Broccoli detox smoothie has it all! Beside that, look at this gorgeous color! 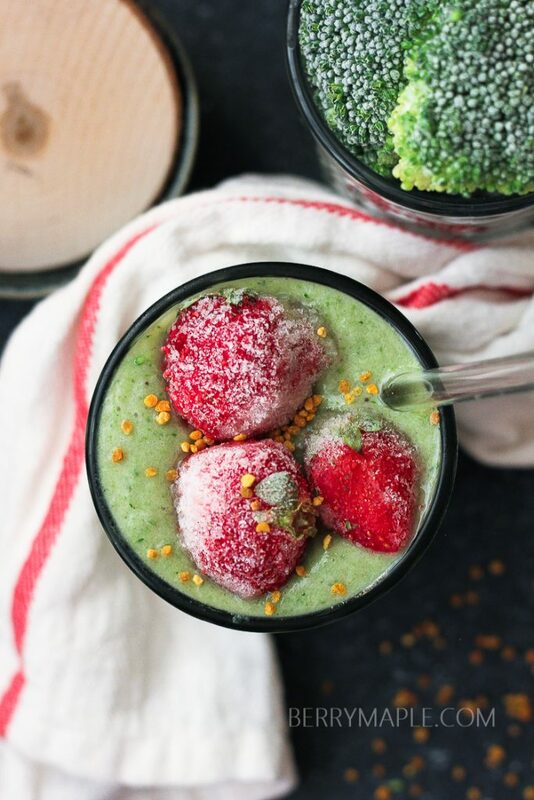 Can you use frozen broccoli in a smoothie? Yes you can. There is really no difference between frozen and fresh broccoli when it comes to adding to a smoothie. Make sure to blend well! I love broccoli smoothies. You can play with ingredients to make sure it fits your taste. I like it the way it is, but you can always add more pineapple or more banana. Or even add an apple! Why not? 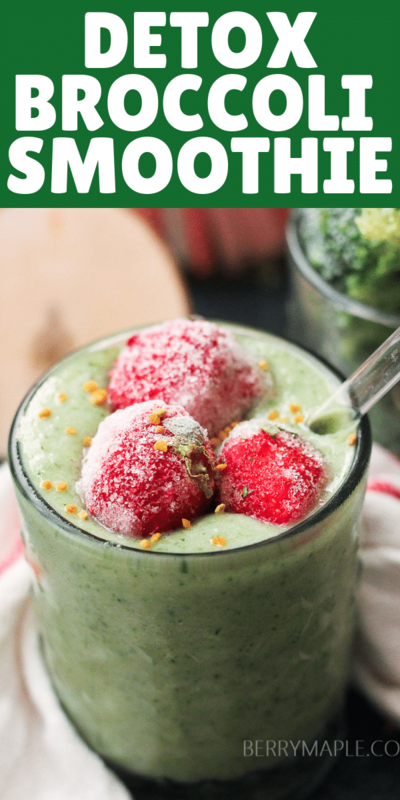 Healthy and filled with vitamins and minerals, this broccoli detox smoothie will fit in any diet! Place all the ingredients in your blender and blend! Add 1 teaspoon of honey or maple syrup if smoothie is not sweet enough for your taste. I’ve never tried broccoli in a smoothie before, looks like I’ll have to give it a try … no more ranch dipped broccoli !! I’ve been on a smoothie kick lately, but I would never have thought to put broccoli in it! I bet it’s ridiculously healthy. I’m definitely going to have to give this a try! Love the idea of this! I’m a huge broccoli fan so this is right up my street! Oh I love the sound of this! I need to try it this week! I will honestly be scared to put broccoli in my smoothie because I am not a huge fan of raw broccoli. I might give it a shot though. I see some of my favorite smoothie ingredients here – but I don’t think I’ve ever used broccoli in one! Definitely curious to try that out! I do love broccoli, but have never had it in a smoothie. This looks really interesting. This looks so healthy, I am so going to try it with the broccoli I have in my refrigerator. Thanks for sharing. 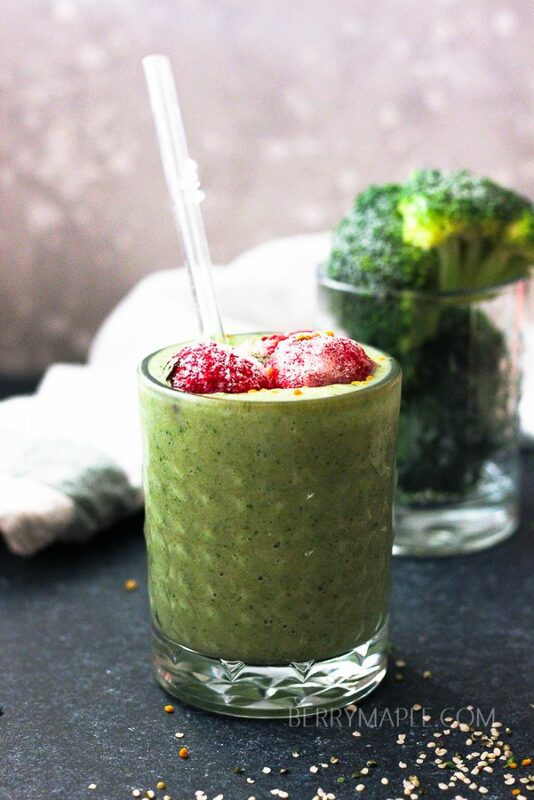 Broccoli in smoothie is nice idea to try now,looks awesome! Beautiful green color! I need to get my hands on some of that bee pollen, so pretty! I’ve never used broccoli in a smoothie but with the pineapple and banana it would be just the right blend of sweet fruit and veggie. I have never added broccoli to my smoothies before…. and why not? Sounds brilliant to me. I am looking forward trying this recipe. I’m one of those people who loves broccoli in my smoothies! I usually semi-mask it with tart raspberries, but I’ve never done it with pineapple before! So excited to make this! Yum….I may make this over the weekend! I think it looks and sounds just great, and a good meal replacement too!